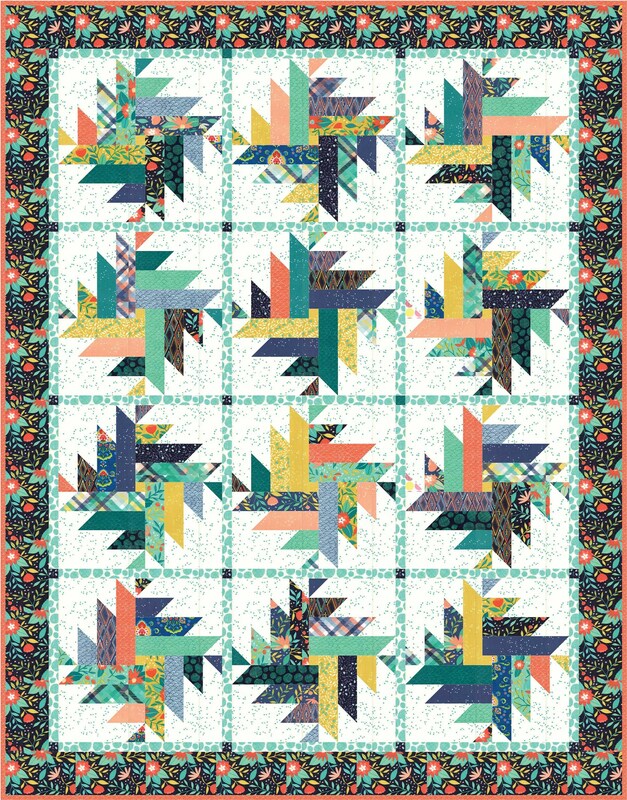 This patchwork pdf quilt pastern uses a precut layer cake. 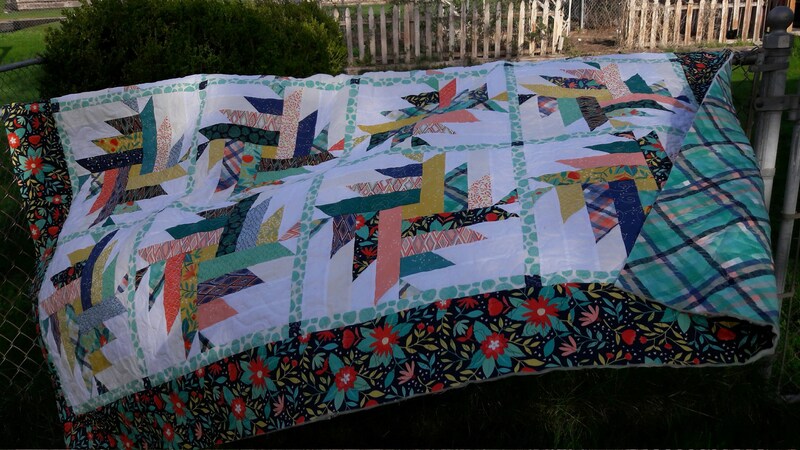 It is a play on the majestic mountain quilt block. 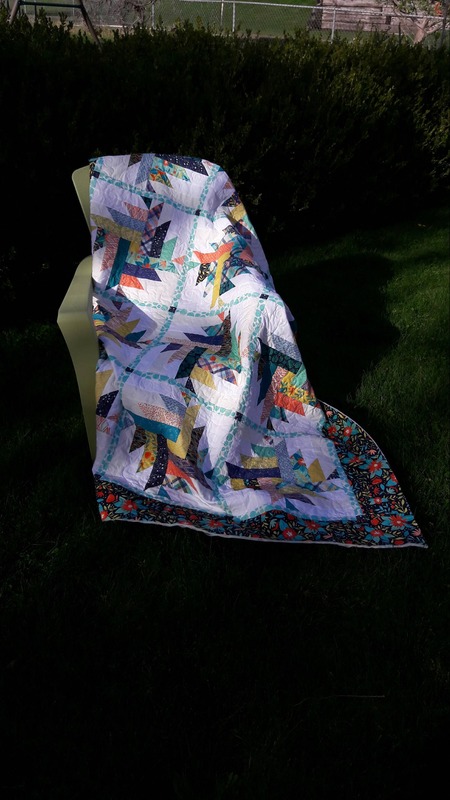 Throw quilt: 65" x 83"